A new generation of cloud services, under the horrible marketing buzzword "serverless", is quickly gaining traction. Gojko will talk about how this affects the development and operating applications, and explain why you should get on board that ship sooner rather than later. Join us once again as we bring cutting edge content to the West Coast at YOW! 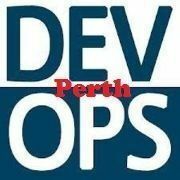 Perth and be inspired during this two day conference covering current and emerging practices and technologies. Tickets available now. YOW! Connected is a two day Conference exploring the world of Mobile development and the Internet of Things (IoT). Call for presentations open until 22 July.